I love this card! It is so beautiful! You did a great job! 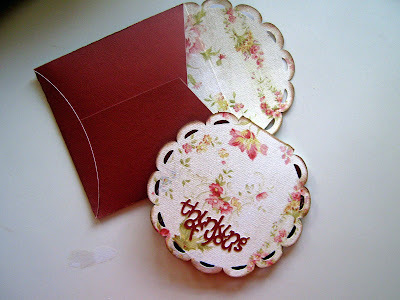 Love the flower patterned paper! Isn't the Wild Card cart to most fantastic adventure? When I first bought it, I made a card from every cut...and like you I wasn't even going to do the Moster card...but the right papers and embellies, he turns out very cute. Your card is an example of cute.